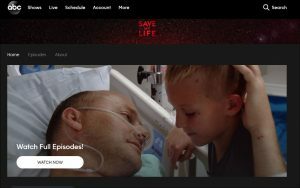 The hospitals defended their cooperation with ABC for its show, “Save My Life: Boston Trauma,” saying the series offered valuable insights to the public about emergency care and that some patients involved were pleased with how the programming came out. Media experts noted that careful, bona fide medical journalism can be revealing and important to the public, though the line has thinned in broadcasting between serious news reporting and ratings-driving, celebrity-focused reality programming. HHS previously had warned hospitals that it would set a high bar for them in protecting patients from exploitation and privacy violations like those for which its civil rights office had fined New York-Presbyterian Hospital $2.2 million in 2016. That’s when the Manhattan hospital worked with Mehmet Oz, aka Dr. Oz, as the medical celebrity host and headliner of the “NY Med” reality TV program. Watchdogs found that show “egregious” in filming a dying patient and another in distress — in both instances without patient or loved one’s consent. As with the Boston hospitals, New York-Presbyterian, in its settlement, denied wrongdoing and argued that the multi-part, ratings-drawing show provided important information about the work of doctors and hospitals to the public. A publicist for the hospital, in tone-deaf fashion, also had boasted to a trade publication about the reputation- and profit-enhancing value from its depiction in a reality show, particularly one with a celebrity doc like Oz. Concerns about big money and patients care also dogged Sloan-Kettering, rocked by a second scandal in as many weeks. The respected cancer center was thrown into turmoil by disclosures about an agreement struck by institutional leaders and Paige.AI, one of many high-tech start-ups seeking to apply artificial intelligence to health care. Hospital pathologists have strongly objected to the Paige.AI deal, saying it is unfair that the founders received equity stakes in a company that relies on the pathologists’ expertise and work amassed over 60 years. They also questioned the use of patients’ data — even if it is anonymous — without their knowledge in a profit-driven venture. In addition, experts in nonprofit law and corporate governance have questioned whether Memorial Sloan Kettering, one of the nation’s leading cancer centers, complied with federal and state law governing nonprofits when it set up the deal. The experts pointed out that charitable institutions like Memorial Sloan Kettering must show that they didn’t provide assets to insiders for less than the fair market value. … The decision [in this deal] to license images of the patients’ tissue slides to a for-profit company also highlights the broader debate over the use of personal medical data, ranging from genetic information to, in this case, images of a person’s cells, for research and commercial purposes. In my practice, I see the harms that patients suffer while seeking medical services, especially in hospitals. They’re part and parcel of the destruction and death inflicted on too many patients due to medical errors. Such medical injuries and mistakes, many preventable, claim the lives of roughly 685 Americans per day — more people than die of respiratory disease, accidents, stroke and Alzheimer’s. The pricey suits who dominate and run giant, profitable hospitals would well serve their institutions, medical colleagues, and most especially patients, if they kept a laser-focus on caring for the sick and injured, instead of campaigning to put up bigger, shinier buildings filled with expensive equipment, and expanding into any endeavor that will turn even a few nickels and dimes more. Patient data already is increasing in value, particularly if researchers can convert it or information from it into beneficial and lucrative drugs and treatments. As technology advances increase opportunities to apply and profit from this material, hospitals and doctors will confront tough ethical and practical issues — not the least of which will be whether, as caregivers, they provided patients with informed consent. That’s a fundamental right for patients to get all the important facts to make an intelligent decision about what treatment to have and where to get it. It also includes knowing what happens to tissues, fluids, and information taken or derived from them, for example, as occurs often in cancer care. Will these be used anonymously, with patients’ privacy protected? Further, will medical staff and institutions share with patients any money made from products or therapies developed from their highly personal materials, including intelligence about their care? We’ve entered brave new worlds in medicine, and they’re fraught with practical, financial, and ethical concerns. Hospitals — where leaders fail to disclose their conflicts of interest (including Big Pharma payments) or cut deals that put their own interests at the fore or run roughshod over patients’ privacy — send significant signals to the public: Why in the world would be put our lives, health, trust, and money anywhere near such places?